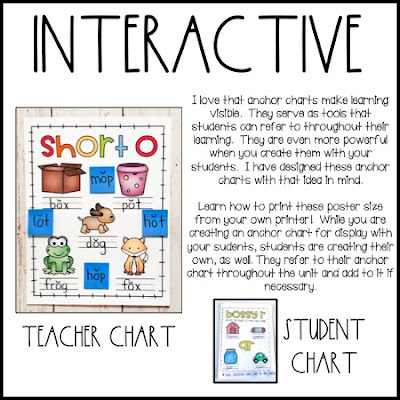 Anchor charts are one of my favorite instructional tools. The only problem is that they're a bit time-consuming to make each week. I am a perfectionist, so I would draw the pictures and would hate them. The lettering would not be as perfect as I wanted it to be. And I just don't have time to create them for all subjects. It's a lot! So, when I found out you could print in poster size through Adobe on any printer, I got the idea to make my anchor charts in PPT and then print them through Adobe. They print out on four pieces of paper; you just have to piece them together. 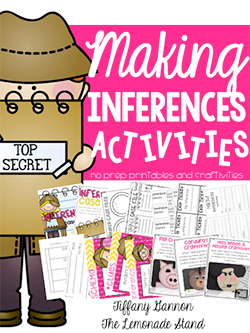 I recently created a set of Interactive Anchor Charts for Phonics. I teach first grade, and phonics is a foundational component of reading. I thought these would be a great visual for my students to refer to throughout a unit. Next week, we are learning all about soft c, g, and -dge. 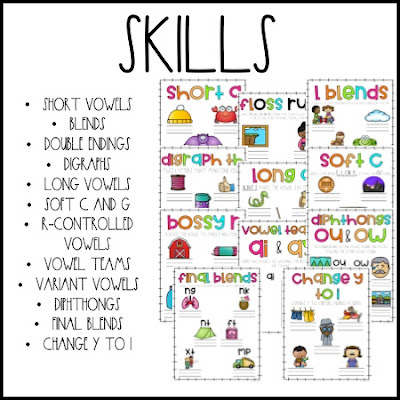 I use the anchor charts to introduce them to the new phonics skill. We discuss the rule, which is included at the top of the poster, first. I then point out the pictures. I model how to stretch out and write the sounds in each word. I am also modeling proper handwriting and letter formation at the same time. You can also have students think of some words that include that spelling pattern. I have them write their words on a sticky note and add them to the anchor chart. 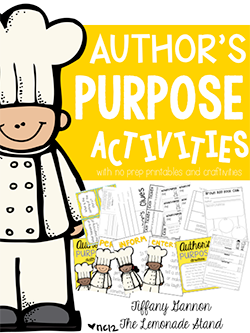 You can also print the posters in black and white and have students color in the pictures. These two things give students ownership over the creation of the poster. Printing poster size is super easy in Adobe! I provide step-by-step instructions within the resource. The page will print on four pieces of paper. You just have to cut and piece them together. I use tape to connect the pieces. This is our Long I anchor chart from last week. As an exit ticket, students had to use one of the long i words in a sentence. You could have them do this on their whiteboard or on a sticky note and add it to the anchor chart. 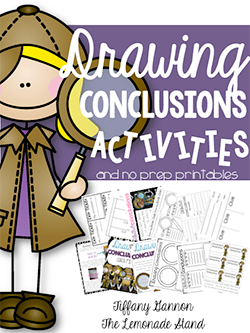 There are so many little assessments you can do with these! 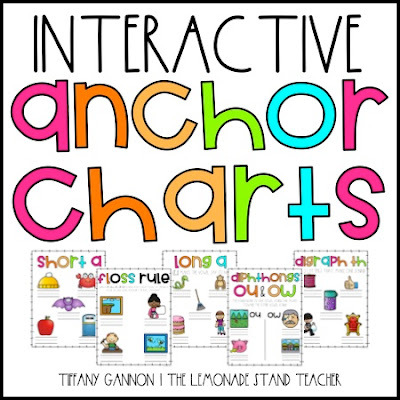 If you really want your students to feel a sense of ownership over the creation of anchor charts within your classroom, as well as to keep them more engaged, let them create their own mini anchor chart. I print two posters to one page. They then can glue them into a phonics journal. I print these in black and white so that students can color the pictures, as well as to save ink. 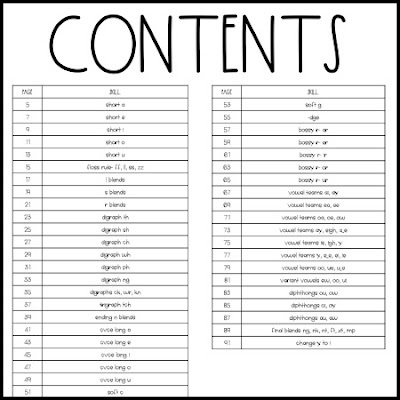 You can find the contents below of the Phonics Anchor Charts for the entire year below. 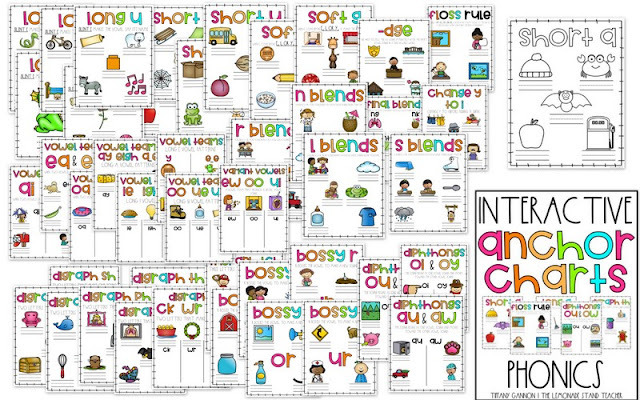 You can click on any of the pics to check them out in my shop if you think they might be beneficial to add to your phonics instruction. 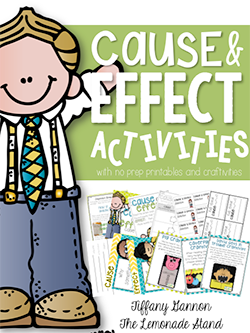 I think they will serve as a great tool for you and your students! Thanks for stopping by!